The holiday season is here and one of the best ways to celebrate is by attending one of the region’s many Santa Claus parades, happening now until Christmas all around Niagara. This year’s Niagara Falls Santa Claus Parade is taking place on Saturday November 18th at 11am on Queen Street in downtown Niagara Falls. The parade will feature twelve marching bands, stilt walkers, inflatable gingermen and snowmen, amazing floats including a special Mrs. Claus float, a giant inflatable Rudolph the Red Nosed Reindeer, and Santa Claus. During the parade the Salvation Army will be giving out free hot chocolate at Rosberg Family Park, there will be free face painting, balloons and caricatures near City Hall, Canada Post will be collecting letters to Santa along the parade route, and Tim Hortons will be giving away free coffee, hot chocolate and lattes at the corner of Valley Way and Queen Street. 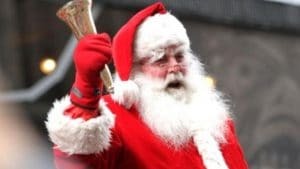 On Sunday November 19th St. Catharines will be hosting their annual Santa Claus Parade beginning at 1pm on McGuire Street and ending on Queen Street. The day’s festivities will also include a post-parade party from 2-4pm at the Meridian Centre where families can enjoy a free skate, visit with Santa, kids crafts, face painting, and outdoor pony rides. Welland’s 2017 Santa Claus Parade is on Saturday November 18th at 4pm, beginning at Canadian Tire Financial Services and travelling west towards Civic Square. Once at Civic Square there will be the lighting of Welland’s beautiful Christmas tree, visits with Santa, and free hot chocolate and treats. The historic town of Niagara-on-the-Lake will be hosting a Christmas Parade on Saturday December 9th, with a number of fantastic floats travelling down the town’s charming downtown streets beginning at 11am. This year’s Fort Erie Santa Claus Parade is happening on Saturday November 18th at 4pm, beginning at Jarvis Street and Niagara Boulevard. And don’t miss out on the pre-parade entertainment happening from 2-4pm on Jarvis Street.